Are we wrong or does this government just loves wasting money? Common sense has prevailed at long last. We are talking about the Supreme Court’s decision to dismiss the ridiculous second lot of charges against Police Commissioner, Fuiavaalili Egon Keil. The charges surfaced when the Police Commissioner was arrested and thrown into a Police cell last November. It happened when he returned to work days after the Court had dismissed the first lot of charges laid against him by the National Prosecution Office (N.P.O.). Now filing charges against a person is not unusual. It happens all the time down at the Police station. But to charge the Police Commissioner himself and to file more than 200 charges against him, something definitely was amiss. We knew it was a farce and we had an inkling that it was only going to be a matter of time before the wind blew it back in the faces of whoever thought them up. Well that happened on Monday. Inevitably, the Supreme Court dismissed all the charges and the Commissioner Fuiava was naturally a relieved man. But the Court decision did not come without a nagging element of alarm about the conduct of some Police officers. You see an independent prosecutor, Nigel Hampton QC, who was recruited by Attorney General, Lemalu Herman Retzlaff, to handle the case confirmed what we all feared. That this whole drama was a farce from the beginning. “None of the allegations have been properly investigated by objective and independent investigators,” Mr. Hampton told the Court. “Interviews of potential witnesses, of an acceptably rigorous standard, were not conducted. There was no explanation sought from the Defendant. No proper investigation? No interviews of potential witnesses? No chance given to the defendant to explain himself? No legal advise? What is this, kids stuff? This has got to be some sort of a bad joke, right? It’s pathetic. What is going on in Samoa today? Now if the officers who carried out this stunt is a reflection of the calibre of Police, we’ve got to be extremely concerned. Folks we are not talking about some complicated principles and top-secret cop work, we’re talking about very basic Police work. What hope do we have in the Force if the Police Commissioner himself was subjected to this embarrassing treatment? Who should be held accountable then for the treatment Fuiava had to endure? What about the suffering he and his family were put through? 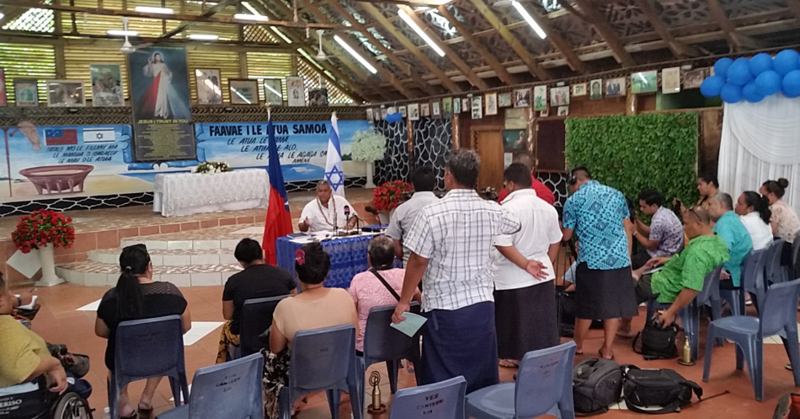 Now speaking of Tuilaepa’s children, up there at Tuana’imato, the proceedings in a Cabinet appointed Tribunal to determine the future of the National Prosecution Office (N.P.O.) is underway. It’s an interesting story. Let’s quickly revisit it. In 2015, one of Prime Minister Tuilaepa’s grand dreams in as far as the legal fraternity goes was realised. It happened when the Criminal Prosecutions Division of the Attorney General’s Office was removed to create what we now have as the N.P.O. 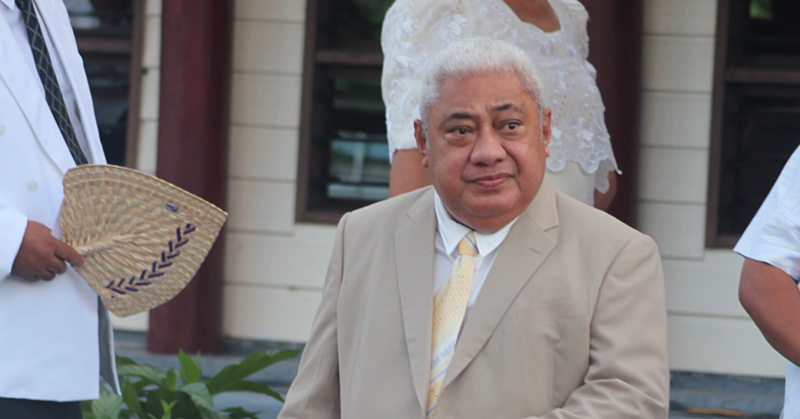 At the time, we were told Prime Minister Tuilaepa wanted to improve the provision of prosecution services. The idea therefore was for the N.P.O to take over all prosecutions to avoid the confusion. At the beginning of 2016 the N.P.O was born. Mauga Precious Chang, as the Director of Public Prosecutions (D.P.P), initially headed the Office, leading a team of lawyers including all prosecutors of the Criminal Prosecutions Division of the Attorney General’s Office. But the calm didn’t last long. In August last year, it all started to unravel when Mauga was arrested and charged by the Police. But just when you think it cannot get any worse, another intriguing development emerged later when the woman who was the Acting Director of N.P.O, Muriel Lui, was suspended. Now the Tribunal sitting this week is to evaluate not just the performance of the suspended Director and Acting Director of N.P.O but also the validity of the establishment of the N.P.O. The facts are, years and years of work had gone into establishing the N.P.O. costing taxpayers thousands of tala and here is the government already wasting more money on a Tribunal to find a reason to shut it down. Besides, why do they need a Tribunal to do this when the Constitutional Amendment Bill (No.1) 2016 is already before Parliament, seeking to remove the appointment of the Director of N.P.O., returning its powers and duties to the Attorney General? Why don’t the government just close it if it makes them happy? Why do we get the feeling that this government just loves wasting money? It has already wasted enough money on charges against the Police Commissioner and now it is persisting with this Tribunal when we can all see from a mile out what will happen? The question is, who is the “genius” lording over all these confusing, unnecessary and costly procedures? Have an awesome Thursday Samoa, God bless!